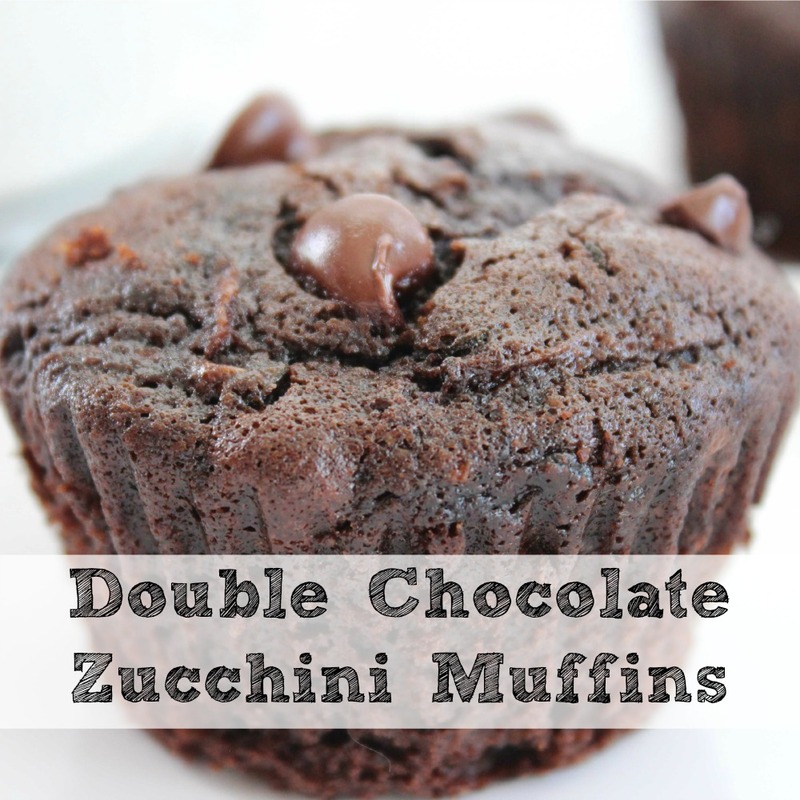 Double Chocolate Zucchini Muffin Recipe | Freezer Friendly! 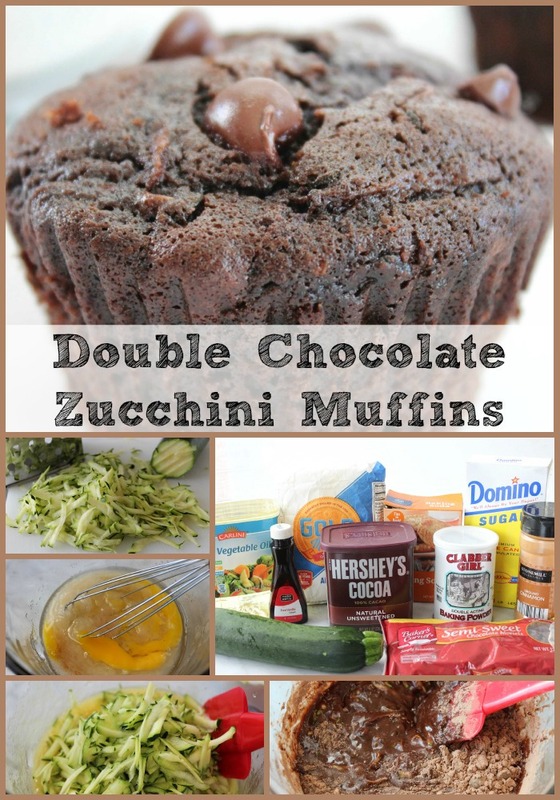 This double chocolate zucchini muffin recipe is a great way to sneak in extra vegetables as well as use the zucchini in your garden. Moist and delicious! I love making anything where I can sneak vegetables in it and my children don't even notice! I know that every parenting guide out there will tell you to just force your children to eat vegetables or try 18,000 types of bribery, deals, etc to get your children to like vegetables, but they are their father's children and they just won't do it (although they are getting better as they get older). Chances are, you already have everything in your pantry to make these – so all you need is the zucchini! Combine flour, cocoa powder, baking soda, baking powder, salt, cinnamon and chocolate chips. In a separate larger bowl, whisk together the eggs, oil, sugar and vanilla until combined. Stir the grated zucchini in the to egg mixture. Gradually add the dry mixture in to the wet mixture until combined. Do not overmix! Fill muffin tins about ⅔ – ¾ full. Bake for 22-25 minutes or until a toothpick inserted into the center comes out clean. Allow to cool for a several minutes in pan before removing to a cooling rack. These sound delicious. My grandchildren would love these. I have a kitchen garden, and I will have tons of squash and zucchini. Pinning your recipe. Please link up on my Sunday’s Best linky party. Your posts are great. We have a bakery nearby that makes Chocolate Zucchini bread and it’s delicious…I definitely need to try making your muffin recipe! Chocolate is my love language! I’d love if you stopped by and shared this at the Creative Inspiration party tonight at 8pm CST. Yum, these look SO good! I definitely have to sneak veggies in where I can for my picky toddler so the chocolate in these muffins are a great way to distract her! Thanks for sharing! Can these be made with wheat flour, canola oil rather than veg. oil, and with a sugar substitute? Looks great. Yummy, I love chocolate and zucchini together! Saying hello from kitchen fun with my 3 sons! These look great! I just planted some zucchini plants and I think this would be a great way to use them! Looks so yummy! Thanks for sharing on Wake Up Wednesday Linky Party. These look delicious! 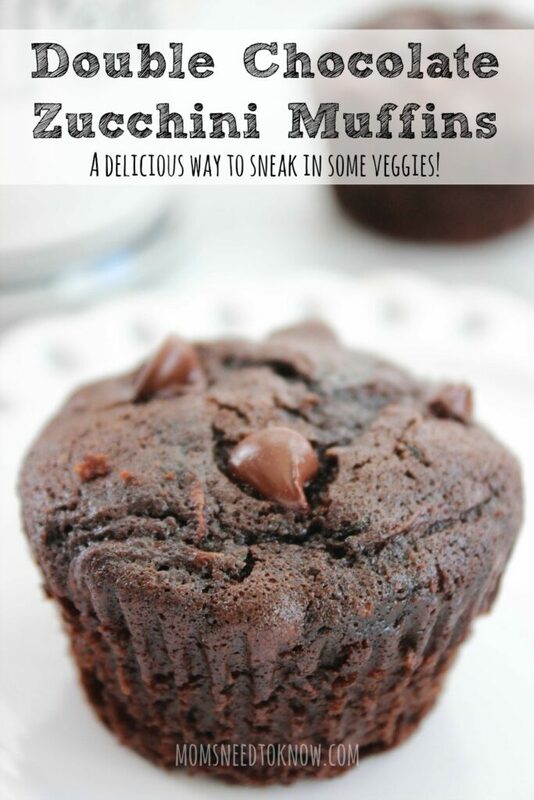 Chocolate and sneaky veggies? Yes. These muffins are right up my alley! Thanks for linking up with What’s Cookin’ Wednesday! Any recipe that I can add some veggies in for the kids is a good thing. Thanks for sharing on Merry Monday. I love zucchini recipes like this! Of course, I love double chocolate anything as well! Yum! Thanks for linking up with Delicious Dishes Link Party!